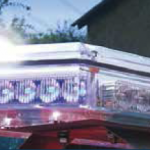 The Rennicks Maxibar LED Lightbar has been designed for all safety sectors. It is available in 2ft (0.6m) and 4ft (1.2m) lengths. The sign is lightweight, compact, easily installed and programmed via a wired handheld controller or powered through a cigarette light socket. 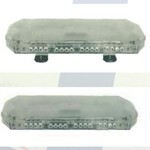 The LED’s are high output and have a low power consumption. The Maxibar MX mini LED Lightbar is a permanent mount version of the MX Lightbar. You have the added availability of alternating rear reds, alley lights and spots.